With Fairfax County’s school system touted as one of the best in the country, why is your child not receiving the attention that he/she needs during this critical time of development? Parents may not realize that their child’s daily school experience from preschool through middle-school is more profound, transformative, and lasting than that of high school and college combined! The period from age 3 to 14 is all about development, and a child’s experience during these formative years literally shapes him/her and becomes part of who he/she is. The school year is well under way, and what has your child’s experience been like thus far? Is your child lost in a class of 25 students or more? Are there as many as four different learning levels in one classroom: AAP? MAINSTREAM? IEP? ESL? Is precious time being spent on repetitive SOL preparation and testing rather than on teaching your child to reason accurately and clearly, read with depth of understanding, and express him/herself articulately in both speech and writing? Is he/she in a school where handwriting and English grammar have been abandoned? Has your child’s exposure to history, math, science, meaningful literature, writing, art, music, drama, and physical education been diminished due to budget constraints? Is your child spending his/her days in an environment lacking in respect, civility, personal responsibility, and good manners? Let’s face it, public schools are overcrowded and pressed to educate hundreds of thousands of children with a myriad of needs and limitations, while lacking adequate resources. 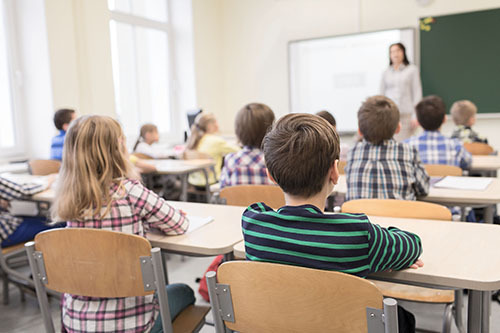 Although many public school teachers are passionate and caring, they are required to conform their teaching to a particular educational program, then drop that in order to implement the next trend. These realities lead to frustrated teachers, students, and parents. By contrast, private school classes are small—15-18 students, on average. Private schools don’t have to sway to the latest educational trends, but have the freedom to deliver the most effective program for their students. And teachers are able to direct their passion and talent, as well as valuable instruction time, to effective teaching using a variety of creative and inspirational methods. Independent school educators are trained to teach holistically, and are focused on all facets of each child’s development—intellectual, social/emotional, physical, and spiritual. Westminster School is committed to graduating students who are the most radiant expressions of their best possible selves—the selves that they were destined to be and have every right to become. We are confident in our mission to create outstanding, motivated, successful, creative, innovative leaders of the future. To learn more, request a copy of The 11 Biggest Mistakes Parents Make When Planning Their Child’s Education. Remember, good is not good enough when your child deserves excellence!